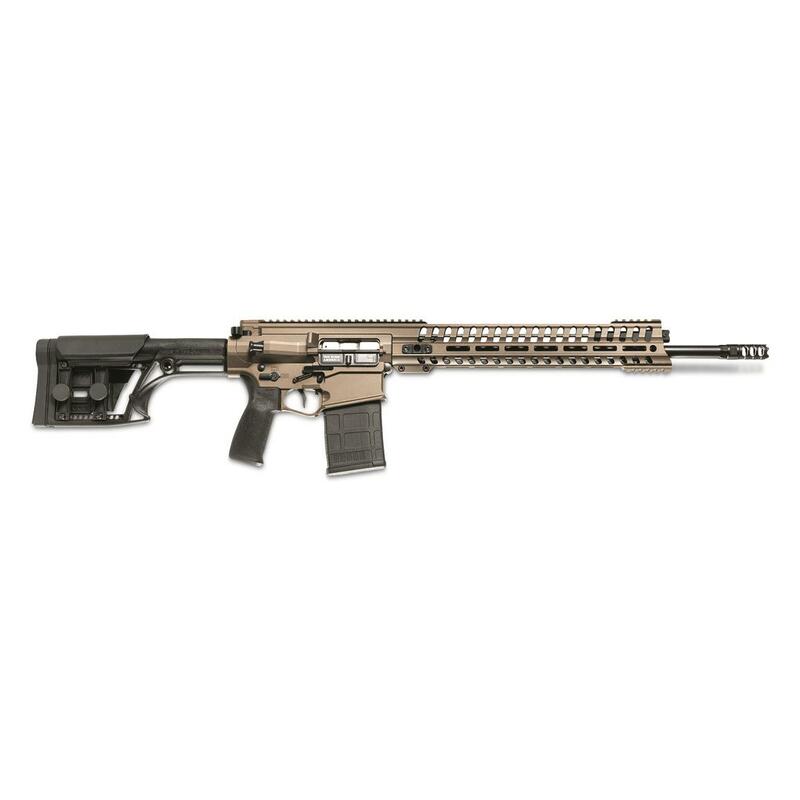 POF P308 Edge SPR AR-10, Semi-Automatic, .308 Win./7.62 NATO, 18.5" Barrel, Burnt Bronze, 20+1 Rds. Proven reliability in the most demanding conditions. 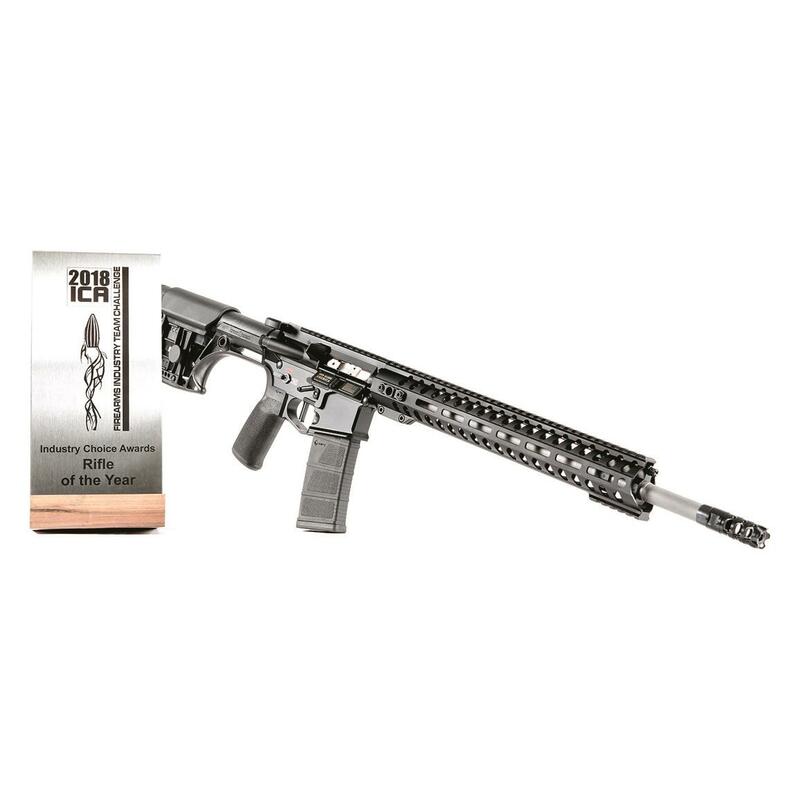 The original P-Series Rifle was engineered over 10 years ago to be virtually unstoppable in unfavorable conditions. The Rifle has proven itself over and over again, passing grueling torture tests and meltdowns with flying colors. The secret? It's a combination of rock-solid gas piston operating system, which keeps heat and carbon out of the action, and E2 technology, which uses gas pressure to break the seal between chamber and case for no-fail extraction. The all-new P308 Edge SPR delivers that same life-and-death reliability…but in a much lighter package. To minimize weight and maximize shooter comfort, the new P308 Edge features the redesigned Edge handguard, reducing the size from the original by nearly 20%. Complete ambidextrous fire controls, free-floating Modular Railed Receiver, and numerous internal improvements make it the pinnacle of all-purpose 7.62 sporting rifles.